This is the case made by Matthew Crawford in his recent book, The World Beyond Your Head: Becoming an Individual in an Age of Distraction. Matt Crawford is only one of a broad range of folks who are concerned about how our omnipresent devices distract and divert us from focused attention and deeper thinking. This is, in fact, a point made by Google executive chairman Eric Schmidt in a 2009 interview with Charlie Rose. I worry that the level of interrupt … this sort of overwhelming rapidity of information — and especially of stressful information — is in fact affecting cognition. It is in fact affecting deeper thinking. So we benefit from this inter-connectiveness. We have to learn as a society what it means to be interconnected all the time. It means, for example, that not everything is as important as everything else. Since I have access to every, every crisis in the world because it’s always blaring at me on cable television, that doesn’t mean I have to worry about every one of them. This is also known as knowing where the off button is. But is understanding and managing interconnectivity just as simple as “knowing where the off button is”? What drives the increasing problem, and increasingly acknowledged problem, of distraction? Matthew Crawford’s The World Beyond Your Head addresses this question as part of his broader discussion of our “age of distraction”—much of which is helpfully summarized by journalist Joshua Rothman in a recent article in The New Yorker. [N]o modern person needs advice about how to be distracted. Like typing, Googling, and driving, distraction is now a universal competency. We’re all experts. Still, for all our expertise, distraction retains an aura of mystery. It’s hard to define: it can be internal or external, habitual or surprising, annoying or pleasurable. It’s shaped by power: where a boss sees a distracted employee, an employee sees a controlling boss. Often, it can be useful: my dentist, who used to be a ski instructor, reports that novice skiers learn better if their teachers, by talking, distract them from the fact that they are sliding down a mountain. … There are, in short, varieties of distracted experience. It’s hard to generalize about such a changeable phenomenon. Rothman says there are two big theories for explaining why distraction is on the rise. The first is material: it holds that our urbanized, high-tech society is designed to distract us. In 1903, the German sociologist Georg Simmel argued, in an influential essay called “The Metropolis and Mental Life,” that in the tech-saturated city “stimulations, interests, and the taking up of time and attention” turn life into “a stream which scarcely requires any individual efforts for its ongoing.” (In the countryside, you have to entertain yourself.) One way to understand the distraction boom, therefore, is in terms of the spread of city life: not only has the world grown more urban, but digital devices let us bring city-like experiences with us wherever we go. The second big theory is spiritual—it’s that we’re distracted because our souls are troubled. The comedian Louis C.K. may be the most famous contemporary exponent of this way of thinking. A few years ago, on “Late Night” with Conan O’Brien, he argued that people are addicted to their phones because “they don’t want to be alone for a second because it’s so hard.” (David Foster Wallace also saw distraction this way.) The spiritual theory is even older than the material one: in 1874, Nietzsche wrote that “haste is universal because everyone is in flight from himself”; in the seventeenth century, Pascal said that “all men’s miseries derive from not being able to sit in a quiet room alone.” In many ways, of the two, the material theory is more reassuring. If the rise of distraction is caused by technology, then technology might reverse it, while if the spiritual theory is true then distraction is here to stay. It’s not a competition, though; in fact, these two problems could be reinforcing each other. Stimulation could lead to ennui, and vice versa. The way we talk about distraction has always been a little self-serving—we say, in the passive voice, that we’re “distracted by” the Internet or our cats, and this makes us seem like the victims of our own decisions. But Crawford shows that this way of talking mischaracterizes the whole phenomenon. It’s not just that we choose our own distractions; it’s that the pleasure we get from being distracted is the pleasure of taking action and being free. There’s a glee that comes from making choices, a contentment that settles after we’ve asserted our autonomy. When you write an essay in Microsoft Word while watching, in another window, an episode of “American Ninja Warrior”—trust me, you can do this—you’re declaring your independence from the drudgery of work. When you’re waiting to cross the street and reach to check your e-mail, you’re pushing back against the indignity of being made to wait. Distraction is appealing precisely because it’s active and rebellious. Needless to say, not all distractions are self-generated; the world is becoming ever more saturated with ads. And this, Crawford thinks, has turned distraction into a contest between corporate power and individual will. In the airport, for example, we listen to music through headphones to avoid listening to CNN. There’s a sense, he argues, in which personal-technology companies are in an arms race with advertising and marketing firms. If you go to the movies and turn off your phone prematurely, you may be stuck watching the pre-preview ads—but, if you have an Apple Watch, you can still assert your autonomy by scrolling through lists and checking your step count. Fundamentally, of course, the two sides are indistinguishable: they both speak in what Crawford calls “autonomy talk,” “the consumerist language of preference satisfaction,” in which consumer choice is identified with liberation and happiness. “Choice serves as the central totem of consumer capitalism, and those who present choices to us appear as handmaidens to our own freedom,” he writes. We are now cocooned, Crawford argues, within centuries’ worth of technology designed to insure our autonomy—the smartphone just represents the innermost layer. If you check Twitter from your tablet computer while watching “Game of Thrones” on demand, or listen to Spotify while working on a spreadsheet in your cubicle, than you’re taking advantage of many technologies of autonomy at once. A central irony of modern life, Crawford writes, is that even within our cocoons the “cultural imperative of being autonomous” is as strong as ever. That imperative depends on the “identification of freedom with choice, where choice is understood as a pure flashing forth of the unconditioned will” (a click, a scroll, a tap). Despite the revolutionary rhetoric of technology companies, we’re less like revolutionaries than like gamblers in a casino. A gambler experiences winning and losing; he takes risks and makes fateful choices. But he does all this inside a “highly engineered environment,” and his experiences are mere simulacra of what they would be outside of it. Just as ironic winning—winning that is, in the long run, losing—is at the center of the gambler’s life, so ironic freedom—action that is actually distraction—has become a “style of existence” for the modern person. Given the extremity of his vision, you half expect Crawford to propose a radical solution: Burn it all down! Dismantle the Matrix! But his suggestions turn out to be humbler. “The image of human excellence I would like to offer as a counterweight to freedom thus understood,” he writes, “is that of a powerful, independent mind working at full song.” “Working” is the key word. Much of “The World Beyond Your Head” is about people who do work to which they can’t help but pay attention: short-order cooks, hockey players, motorcycle racers, glassblowers. These workers, Crawford writes, endeavor to bring themselves “into a relation of fit” with a demanding world. When a line cook rushes to keep up with new orders, or when a motorcyclist anticipates a patch of slick road, they are simultaneously “limited and energized” by the constraints they encounter. (There’s little solace in the book for committed office workers; Crawford himself has foregone a traditional academic career to run a business that manufactures custom motorcycle parts.) The point is that these workers, who are immersed in what they do, are not really autonomous; instead, they are keyed into the real world (the demanding kitchen, the unpredictable road). They aren’t living in their heads, but sensing the grip of the tires on the asphalt, the heat of the flames at the grill. “Joy is the feeling of one’s powers increasing,” he writes. Distraction is the opposite of joy, which becomes rarer as we spend more time in a frictionless environment of easy and trivial digital choices. After recognizing many of the merits of Matthew Crawford’s discussion of the spiritual roots of distraction, Rothman dismisses his emphasis on the importance of paying attention. Rather, Rothman offers what might be described as a postmodern view of attention and distraction—a view that is in fact a postmodern conception of what it means to be human. “A New Theory of Distraction” was published by The New Yorker. 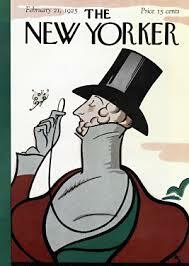 Joshua Rothman is The New Yorker’s archive editor. “The Attention Crisis: And you Thought the Economic Crisis was Bad” by Soren Gordhamer was published by The Huffington Post. “A Crisis of Attention and Intention” by Courtney Martin was published by The American Prospect. “We’re creating a culture of distraction” by Joe Kraus, a Partner at Google Ventures, is available on his personal website.